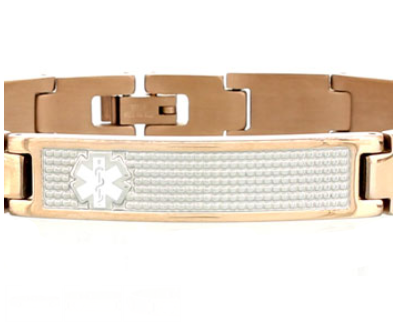 This classy stainless steel two tone rose gold and silver finish medical ID bracelet features a white medical alert symbol on the silver plaque. Length is approximately 7 1/2 inches and can be adjusted by a local jeweler by removing links. Width is about 3/8 of an inch. 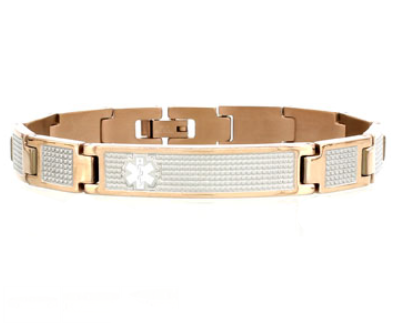 I get many compliments on this elegantly styled bracelet and am happy to wear it. 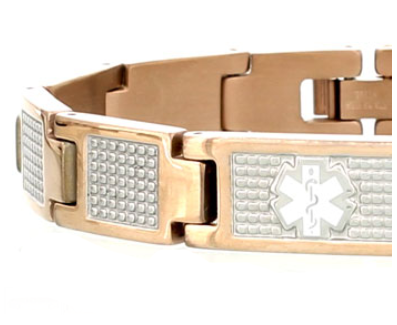 This is not your ordinary Medi Alert bracelet!